Alcohol is a sedative hypnotic drug that depresses the central nervous system, making you feel more relaxed. Most adults drink alcohol moderately and on a social basis and derive a lot of pleasure from doing so. However, about one in five men and one in seven women regularly drink more than the Department of Health suggests is strictly safe for good health. This is up to two to three units of alcohol a day for women and up to three to four units of alcohol a day for men, to a maximum of 14 units a week for women and 21 units a week for men. A unit of alcohol is equivalent to half a pint of ordinary strength beer, a small glass of wine or a single pub measure of spirits. The short-term effects of alcohol are dependent on the amount consumed and can vary enormously from person to person and from one situation to another. slurred speech, loss of coordination, unsteadiness when standing or walking, impaired attention and judgement, loss of inhibition, sleep. Relatively low doses of alcohol relax the user, make them more talkative and animated. Larger doses lead to uncoordinated movement, impaired decision-making and sedation. The depressive effects of alcohol on normal brain function - especially those causing impaired judgement - are the main reasons it's always best to avoid alcohol when driving and never to exceed the limit. The cumulative effects of excessive alcohol consumption, especially when associated with a poor diet, affect every part of the body. The two main sites of damage are the liver and the nervous system. The liver may become progressively damaged through a condition known as cirrhosis, which may lead to liver failure, liver cancer and death. The nervous system may be damaged at many levels. Damage to the brain can interfere with intellectual function, and increase the risk of anxiety and depression, confusion and dementia. Damage to the peripheral nervous system can lead to loss of balance, impotence, numbness of the feet and hands, tremor and blindness. Alcoholism is also implicated in diabetes, inflammation of the pancreas, internal bleeding, weakening of the heart, high blood pressure and stroke. Alcohol intake during pregnancy is harmful to an unborn baby. • Develop a strong sense of compulsion to drink. • May drink shortly after waking to reduce feelings of alcohol withdrawal. • Develop a reduced capacity to control how often and how much. • They organise their lifestyle around drinking. Alcoholics Anonymous - Big Book (AA Services, 2002) - a seminal book, originally published in the 1930s, for people who suffer from alcohol addiction and who want to stop drinking. Let's Drink to Your Health! (Nick Heather and Ian Robertson, 1996) - useful advice to enable people to change their drinking patterns; a drinking diary and tips for drinking less are included. Alcoholism: The Facts (Donald W Goodwin, 2000) - a classic text on alcoholism. Written in a clear and lively style, the book is aimed at those who have alcohol problems and the people who share their lives. Dying for a Drink: What You and Your Family Should Know About Alcoholism (Anderson Spickard and Barbara R. Thompson, 2005) - a self-help book for people who have alcohol problems and their families. The Easyway to Control Alcohol (Allen Carr, 2009) - a self-help guide by best-selling author on addictions and how to overcome them. Drinking: A Love Story (Caroline Knapp, 1997) - Knapp offers insights not only about alcoholism, but about life itself and how we learn to cope with it. A confidential helpline for straight-up, unbiased information about drugs or alcohol. Lines are open 24 hours a day. All calls from the UK are free. 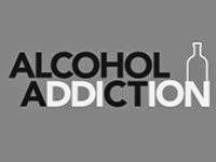 If you're having trouble with your drinking, you may be interested to know more about Alcoholics Anonymous. The confidential helpline is open 24 hours a day (calls charged at the local rate). Drinkaware aims to increase awareness and understanding of the role of alcohol in society, enabling individuals to make informed choices about their drinking.